Thanksgiving was a big deal for Cook In / Dine Out, and it was fun to enjoy a higher level of engagement with readers, many of whom were preparing their own Thanksgiving dinners. For avid home cooks, it's a great time of year to share recipes, tips and kitchen war stories. 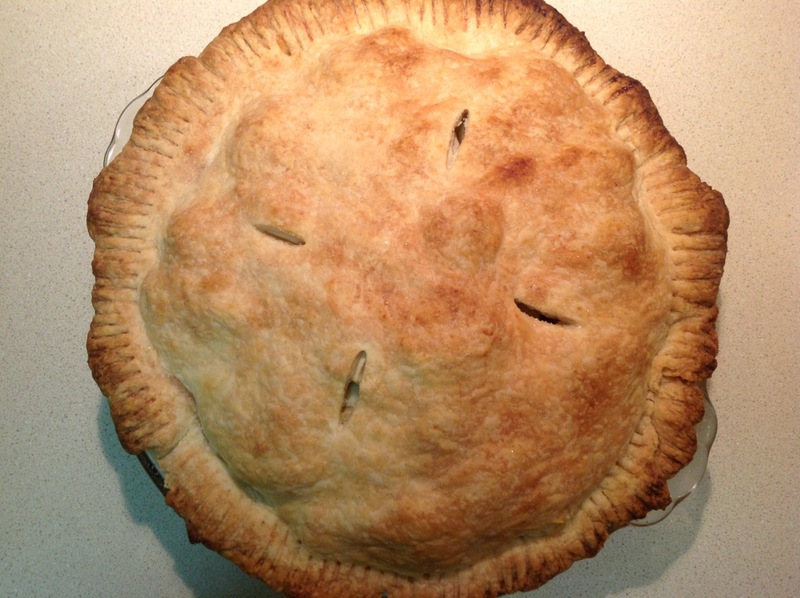 The month's most popular recipe was the Apple Pie with Vodka Crust, my story about the America's Test Kitchen innovation to promote better crust texture. Much of the credit for the post's popularity is due to a mention on the New York Times website's Diner's Journal. Other Thanksgiving stories that proved to be very popular were Homemade Cranberry Sauce, Brined Roasted Turkey Breast and my thoughts about Thanksgiving Wines. The next couple weeks will be devoted to holiday entertaining. The first week will feature appetizers perfect for a holiday party. Then I'll turn my attention to a December favorite: cookies. Man, doesn't that pie look good!